Poster du film Iron Man 3 réalisé par Shane Black avec Robert Downey Jr. (Iron Man), Gwyneth Paltrow (Pepper Potts), Guy Pearce (Aldrich Killian), Ben Kingsley (Le Mandarin) et Don Cheadle (War Machine). 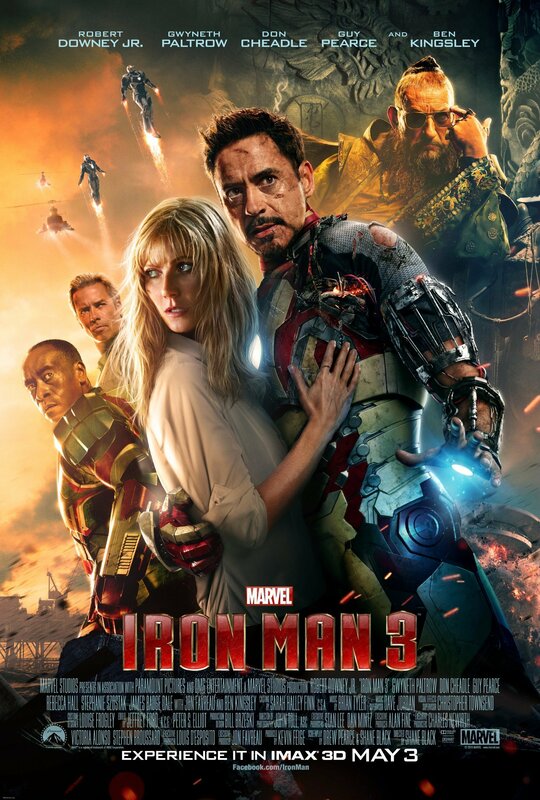 Poster du film Iron Man 3 réalisé par Shane Black avec Robert Downey Jr. (Iron Man), Gwyneth Paltrow (Pepper Potts), Guy Pearce (Aldrich Killian), Ben Kingsley (Le Mandarin), Don Cheadle (War Machine). Alors Robert ? Iron Man 4, ou pas Iron Man 4, ou autre chose ? Mel Gibson pour réaliser Iron Man 4 ?